/ Modified feb 27, 2018 5:11 p.m. 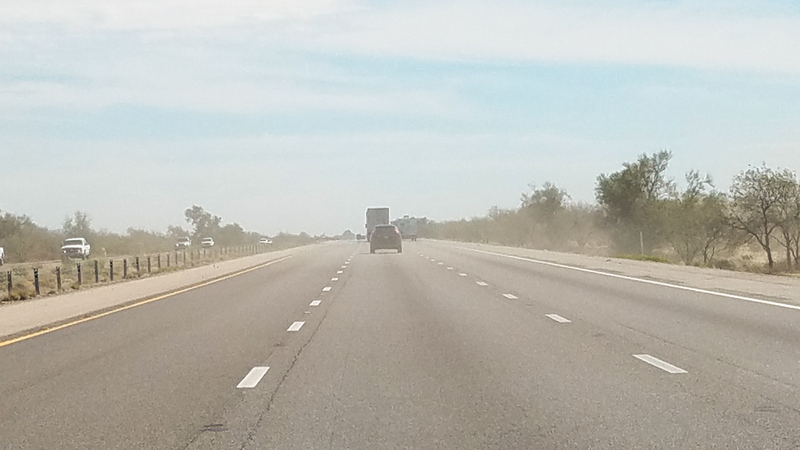 Representatives from a variety of government offices gave updates on research and projects aimed at reducing the risk caused by blowing dust along Interstate 10 and other roadways in Arizona at an annual gathering held Tuesday. Among the project updates was a progress report on the dust-detection system that is being installed near Eloy. An Arizona Department of Transportation spokesman said the project will be the last step in a multi-tiered project that includes widening a stretch of I-10 and rebuilding its interchange with State Route 87. The project will detect dust and warn drivers when adverse conditions are incoming. "The last caveat is always that this is still going to be up to drivers," said Tom Hermann. "Drivers will still have to use the information we give them, and if they see a dust storm, pull aside and stay alive. Let the dust storm pass and then get on their way." Local National Weather Service offices spoke about incoming changes that will allow them to forecast dust storms in a more refined way. NWS Meteorologist Ken Drozd said seasonal winds are one problem that causes dust storms in the spring and summer. "It's also what's going on with individual properties: if there's been any soils disturbed, how dry it's been, the soil and how supple it is to the wind," he said. Other updates included efforts by the Arizona Department of Environmental Quality to spray chemical agents that prevent soil from becoming airborne on barren fields adjacent to I-10. An ADOT study found there were 85 dust-related crashes on I-10 between Tucson and Phoenix between 2010 and 2015. Forty-three of the crashes took place in the area where the dust-detection system is being installed. MORE: Arizona, Environment, Government, News, Technology, Transportation, U.S.